Complex behaviors for robots with human-comparable ability to move and manipulate through control theories, optimization and machine learning, with specialization in humanoid robotics. 2012, PhD in Robotics, Italian Institute of Technology and University of Genova. 2007, BEng (Distinction), Harbin Institute of Technology. 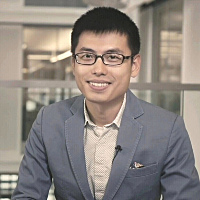 Dr Zhibin Li is a Lecturer (Assistant Professor) in the School of Informatics at the University of Edinburgh. Before joining the Institute of Perception, Action and Behaviour (IPAB), he had been with the Italian Institute of Technology (IIT) since 2009, where he obtained the joint PhD degree from IIT and University of Genova, worked as a post-doctoral researcher, and led the locomotion group inside the Humanoid and Human Centred Mechatronics Lab at the Department of Advanced Robotics, IIT. His past work focused on the development of a variety of balancing and dynamic walking control of humanoid and other legged robots. His current research aims to control the dynamic behaviour of a wide variety of robotic systems and to achieve human-comparable ability to move, manipulate, and grasp. He is particularly interested in producing skilful, agile, athletic, and well coordinated physical motions and interactions through control theories, optimization and machine learning.